Yes I am a bad person, I completely emphasis with Woody Allens character Alyy Singer. 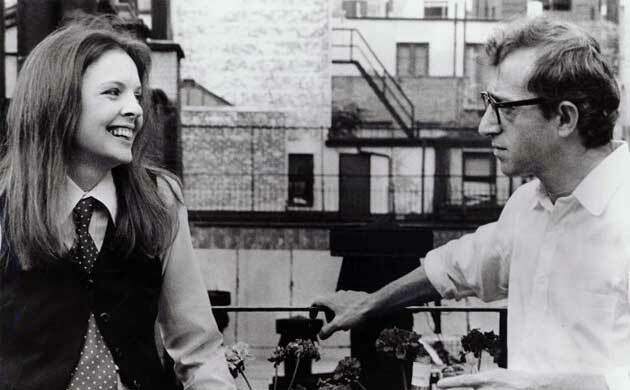 So for any of you have watched Annie Hall you will probably stop following me right about now :). Anyway for those who haven't I have to say Annie Hall is one of my favourite films ever, the humour is is delivered perfectly, the storyline is realistic but not boring and Diane Keaton's costume is superb too. She's been dressed as a kind of tom boy, strong figure but you kinda realise she's not she's just a bit dizzy, until she finally finishes with Alyy she's more stronger and has realised who she is, but the thing is she's dressed in a floaty feminine dress and is wearing make up the complete opposite to her character I suppose this is meant to be irony and is meant to reflect how she's living in California. oh yeah! I follow your idea. I love this movie and its text is realistic.